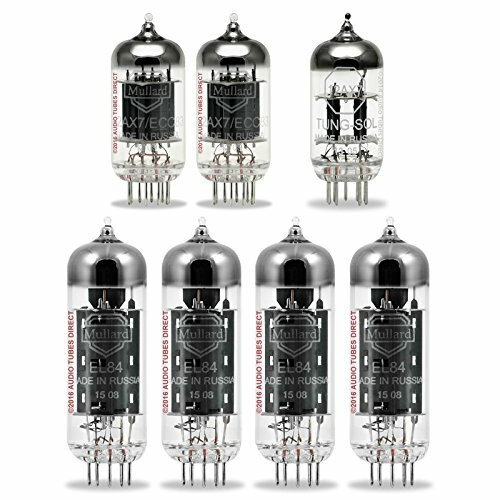 Audio Tubes Direct is an Authorized Tung-Sol, Electro-Harmonix, Genalex, Mullard & Sovtek Dealer. We have over 4000 successful transactions on multiple websites with a 100% feedback rating. Platinum (Factory) Matched refers to tubes tested and matched by the manufacturer. They are guaranteed from the manufacturer to be new and free from any defects in materials or craftsmanship and are backed by our 30 Day Warranty. If you have any questions about this product by Mullard/Tung-Sol, contact us by completing and submitting the form below. If you are looking for a specif part number, please include it with your message.